This activity is a fun way to introduce students to food products and crops grown on a farm. 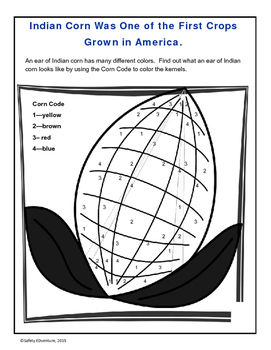 Students learn about Indian corn and matching colors and numbers to complete a colored picture of an ear of Indian corn. Find over 150 different activities on the KidZ Learning Connection store.